Monascus, fermented rice (red mold rice), has been found to reduce the serum total cholesterol and triglyceride due to presence of lovastatin. Lovastatin acts as an inhibitor of 3-hydroxy-3-methyl glutaryl coenzyme A reductase. Coculture of Monascus purpureus MTCC 369 and Monascus ruber MTCC 1880 was used to produce red mold rice by solid-state fermentation. 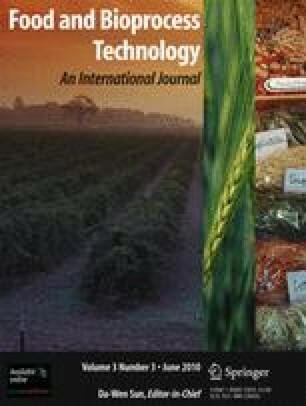 Optimization of different fermentation process parameters such as temperature, fermentation time, inoculum volume, and pH of the solid medium was carried out by Box–Behnken’s factorial design of response surface methodology to maximize lovastatin concentration in red mold rice. Maximum lovastatin production of 2.83 mg/g was predicted at 14th day in solid medium under optimized process condition.